Bloomberg BusinessWeek recently noted that watches with a square face are making a comeback. Such pilot watches became popular in the early 20th century, but eventually they took on a round shape—like the dials and gauges in a plane’s cockpit. The technology that makes clocks and pocket watches work had traditionally been round: The interlocking gears and springs in a watch movement are round by nature, and the rotating hands are best read against indexes arranged in a circle. 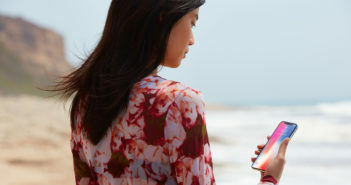 About 80% of watches are round, with technological advantages often driving this reality. Yet many who appreciate style love the look of watches with a square face. The watches featured in the article are beautiful, but also very expensive. With brands like Hermès and Cartier that shouldn’t be a surprise. So we did some digging and found a lovely watch from Bulova that offers this square style with an elegant black band and stainless steel case. Fans of simple elegance will appreciate this design. 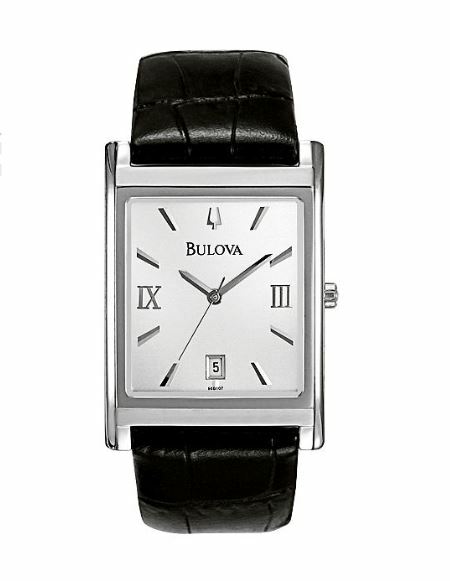 Also, with Father’s Day around this corner, this watch from Bulova offers a classic design for the right dad.